BANGOR ME – The first form of the Maine high school basketball tournament was won by the South Portland boys in 1922. That was the lone tournament. Today, ten separate tournaments provide ten gold ball winners to schools across the state. Five on the girls side. Five on the boys side. Tournaments are separated into classes by school size. The three smallest classes (D, C, and B) northern region tournaments are hosted in Bangor at the Cross Insurance Center. State games and class A and AA games are played at either the Cross Center, the Augusta Civic Center, or Portland’s Cross Insurance Arena. Previously, the Bangor Auditorium housed the Bangor games. “It is an annual event. It is a great place to bring your family and just come to watch a game,” said broadcaster Erik Vandenbossche. Vandenbossche is working his first tournament as a sports broadcaster after being recently hired at 92.9 the Ticket. “We are seeing teams we have never seen before, that requires a lot of homework to be done,” said 92.9 The Ticket broadcaster Dale Duff in an interview done before last year’s tournament. Unlike Vandenbossche, Duff has been involved in the tournament since 1974. At 92.9, he covers around 50 games in 16 games. “It means a lot for our station, we have to be at our best,” said Duff. The Bangor tournament has seen a 5% increase from last year according to Duff in a brief chat I had with him before he rushed of too home after the Southern Aroostook girls moved on to the class D final Thursday afternoon. “I have just got to take this night off,” said Duff. 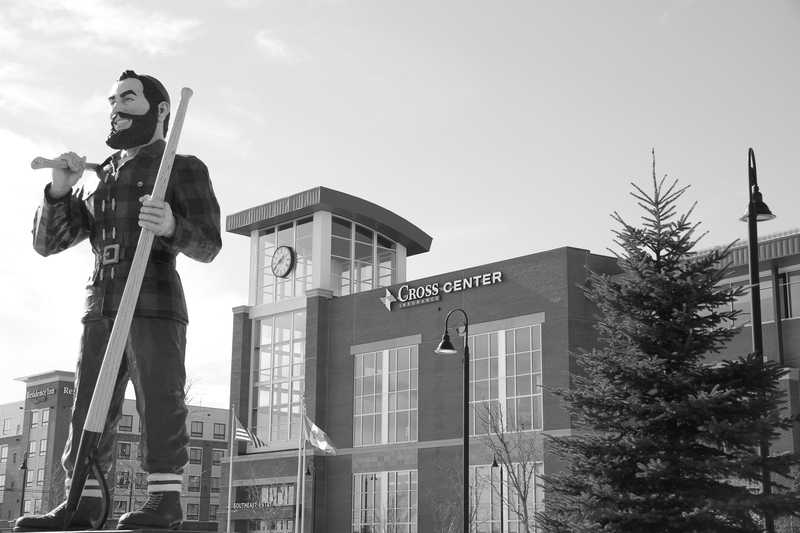 In 2016, over 45,000 fans walked in to the Cross Insurance Center according to Bangor Maine’s website. The 2016 mark was a record. Last years numbers are unknown. In 2014, the B,C, and D tournaments moved from the demolished Bangor Auditorium, to the Cross Center. “It is more convenient with the amenities that the new building has. The air is cleaner and when you are in a big building like that with a lot of people it is good to have fresh air,” said Duff before last year’s tournament. However, Duff said he loved everything about the old auditorium. The Northern Maine girl and boys B,C, and D tournaments wrap up with Northern Maine Final games on Saturday.